Nigerian singer Mr Eazi has hailed the Nigerian community for quickly appreciating his Ghanaian sound.. The singer went further saying that most of the top Afrobeats and African songs are all on the merger of Ghana and Nigerian sounds, a sound that he is the pioneer of. 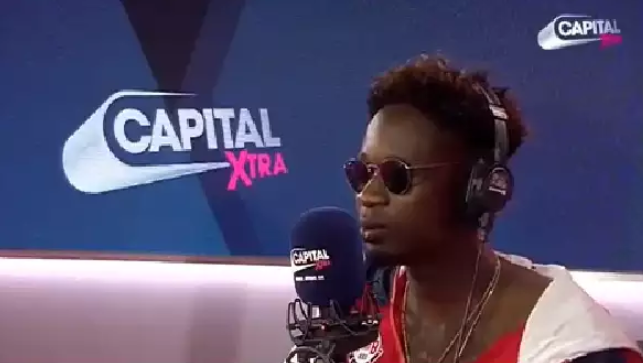 Mr Eazi, the pioneer of Banku Music – a fusion sound he describes as the mixture of “Ghanaian bounces, Ghanaian highlife, Nigerian chord progressions, and Nigerian patterns” – made this known when he was a guest on Capital Xtra‘s Reggae Recipe. “And that is what has been this year, if you want to count like 5 afrobeat, it’s like everybody just realized that ‘yo what formula is Mr Eazi using?’ Ok we’re gonna end up doing it”.